How can you describe a musical quantum leap? Maybe it’s best to explain it in numbers. Flügge [meaning “independent” or “to spread one’s wings” in German] is 44 minutes and 41 seconds long, includes 14 songs and 13 instruments divided by two musicians drawing on at least ten different musical spheres of influence. Sampling and digital post production: zero. 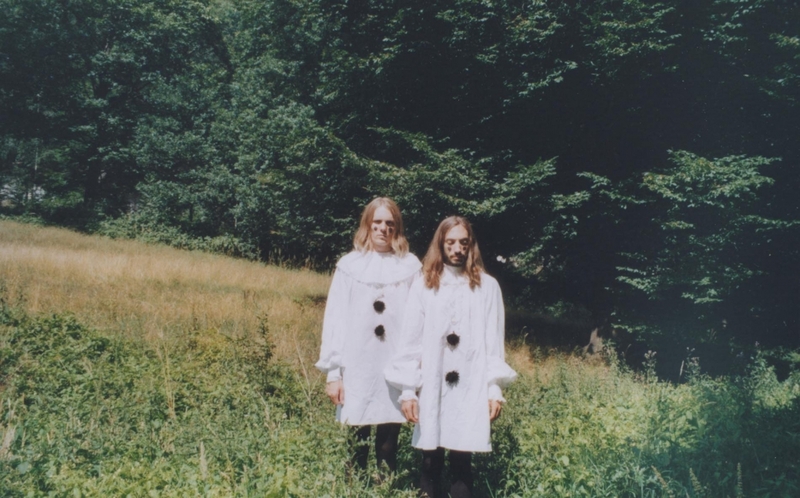 The second album by Berlin duo Odd Couple has become an eclectic mix that doesn’t fit too easily into a category. When Tammo Dehn and Jascha Kreft were working on their debut “It's A Pressure To Meet You”, which was released two years ago, they were still at the primordial soup stage of sultry garage-rock. Flügge outgrew the age-old framework of guitar, bass and drums with a confident vehemence. The record breathes rock music, speaking the language of the Blues with riffs in widescreen and keyboards under cover of night, but nevertheless structured by the skeleton of a modern interpretation of Krautrock and the repetitive punching beat of classic hip-hop productions. The result is a sound that the German music scene has not yet heard. This is particularly evident in the title song “Flügge” in which Odd Couple describe a trip to California – “Es war schön, Mami! With Flügge, Odd Couple have certainly made the grade. Although the record helps itself to parts from the rock warehouse, it doesn’t simply rebuild what has gone before. Songs like “Orbit Traveller” or “Serve” are daydreams in song format, “Am I Evil” features riffs and distortion pedal in just the right places and “Go Sees” with its falsetto chorus is a little masterpiece. References or comparisons would be out of place at this point. Flügge stands on its own. Odd Couple belong to a time when rock music is almost desperately seeking its own identity – a positive anachronism. Their version of rock can sure tell us a thing or two... and it’s fun!